Book kindly sent by publisher for an honest review. Grace, holding on tightly to her precious burden, found the station entrance without much difficulty. The Necropolis Railway ran, just as Mrs Smith the midwife had said, on its own special line from Waterloo to Brookwood Cemetery in the county of Surrey, and it was at the London station, just before eleven o'clock, that the newly bereaved gathered, all dressed in the first stage of deep mourning. 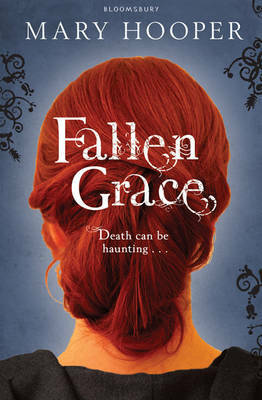 This book is one of those that targets all your senses with it rich descriptions that bring Victorian London to life. From the very first chapter, you discover the unexpected and find yourself wanting more. The book is written in third person and you get to see the story from a range of characters viewpoints, with Grace being the most dominant character in the story. Poor Grace has suffered for most of her life. She is strong and courageous,even when her life can't get any worse. Her mind is always jumping one step ahead, as she tries to calculate how she can improve their situation. She may be the younger of the two sisters, but she takes control of their lives, as poor Lily is not strong in her mind. In fact, Lily reminded me of Lenny from Of Mice and Men by John Steinbeck, with her simple views on life. Deceit plays a huge part of this story. You begin to be thankful that you didn't live during the Victorian era, where everyone appears to be on the make. The Unwins are the most devious and unscrupulous family I have ever come across. The lengths they will go to ensure their wealth expands are extreme. They basically conned many grieving families to purchase a funeral, far outside of their financial limits, by making them feel guilty. I was fascinated by the descriptions of the full mourning period. It had never occurred to me that grieving families would go to such great lengths after a beloved family member had passed. I understood the need for mourning clothes, but to be worn for such a long time, seems absurd now. I had never heard of mutes being part of a funeral before. I was fascinated by their roles in the proceedings. The following sentences piqued my interest and had me searching for more information. I love the way the author has intertwined so many facts within the story. I had no idea that Marble Arch had been moved from its original home. I was also surprised to discover that the Necropolis Railway actually existed. You can tell that this book was thoroughly researched, especially with the inclusion of extra historical information at the back, which I found fascinating. At the beginning of each chapter, there were informative boxes which added to the story and showed examples of life in Victorian England. I was extremely pleased to discover the inclusion of Victoria and Albert in the story, which gave it an air of authenticity. I really really loved this story. It was just so rich in description and atmosphere that I found myself lost in the Victorian streets of London. The story was well paced and developed with twists that I had not been aware of. If you like historical fiction, especially books set in Victorian London, then I would highly recommend this book, which is full of Victorian flavour. A book that will find you researching to discover more. I honestly can't wait to read more of Mary Hooper's books. This sounds like a great read, and I do enjoy historical fiction. Lovely cover also! Beautiful cover, and as I'm sure you can guess I love the setting! Naida - After reading a couple of historical YA lately, I find myself really enjoying this genre. I might venture into the adult books. Nymeth - YOu would love it. I have a real fascination with this period in history, and just today was reading about how death was much more a part of the everyday consciousness of the people of that time as compared to now. I've just added it to my list! Animewookie - thankyou. I am a bit of gusher on this one. Mummazappa - I can't fault this book. It really did bring that era to life. Jen - Hey Jen, where you been? Blodeuedd - the cover is gorgeous. It sounds like a sad story in many ways (a little Dickensian). Sometimes I think that funeral directors still do the same thing (trying to sell people stuff they don't need and can't afford by using guilt). Alyce - funny you should mention Dickens! He appears in the book and I totally forgot about it. ooo Thank you Viv! youve just hiked my interest in this book! I have it on my tbr and I keep pushing it down but you've made me want to read it more! I really enjoyed this one as well, and you made the ebook by Plaja sound awfully tempting. The best part about e books is that they are no more expensive and involve no costly shipping to get to the US.